Look who came to visit, just in time for dinner! 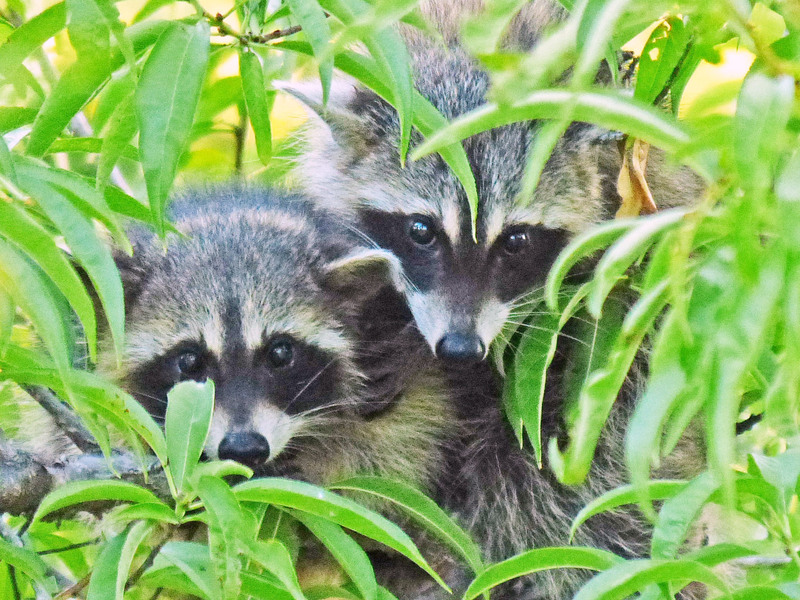 These critters are known to raid bird feeders, fruit trees, and any leftover picnic delights. They are great climbers, and with their clever fingers have been known to even open bird feeders to scoop out the seeds. 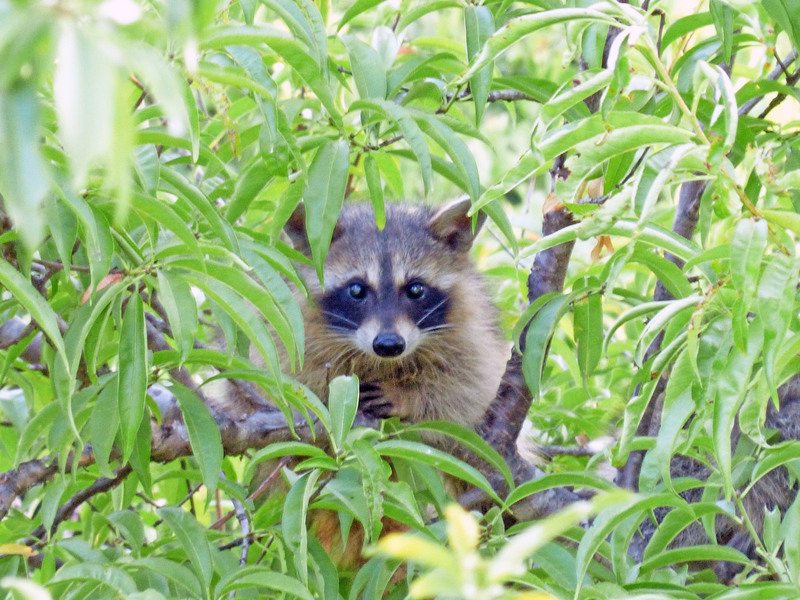 An interesting talent is that a raccoon can rotate its hind feet, such that they point backwards, when it needs to climb down a tree. This was an easy one this month, but just in case, you can click the link to find the answer.